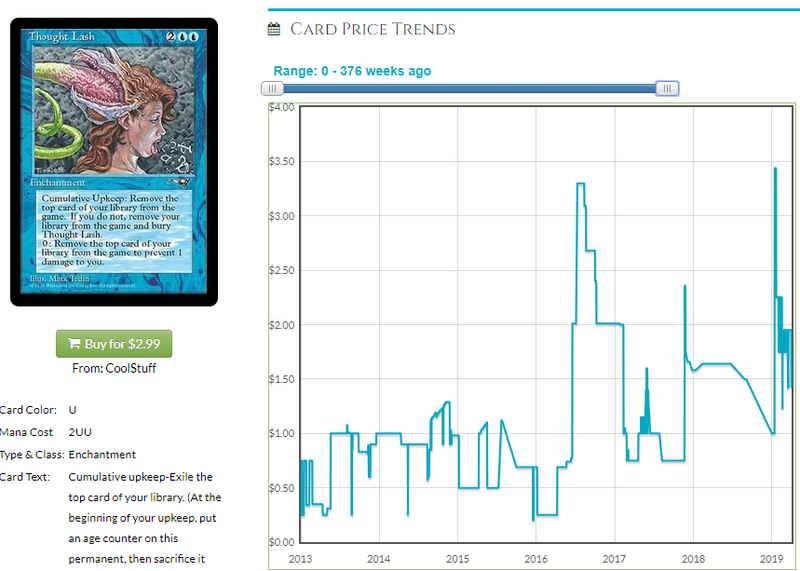 I don’t want to do a deep dive on all the implications of a specific commander this early, mostly because we can wait a bit, but there are a few two-card combos emerging and it’s best to be apprised of them so you’re not left in the dust when cards start selling from your TCG Player store or someone else swipes the cheap copies from your LGS. The ship may have sailed on some of these questionable beauties but you can snag some others so let’s get to it. 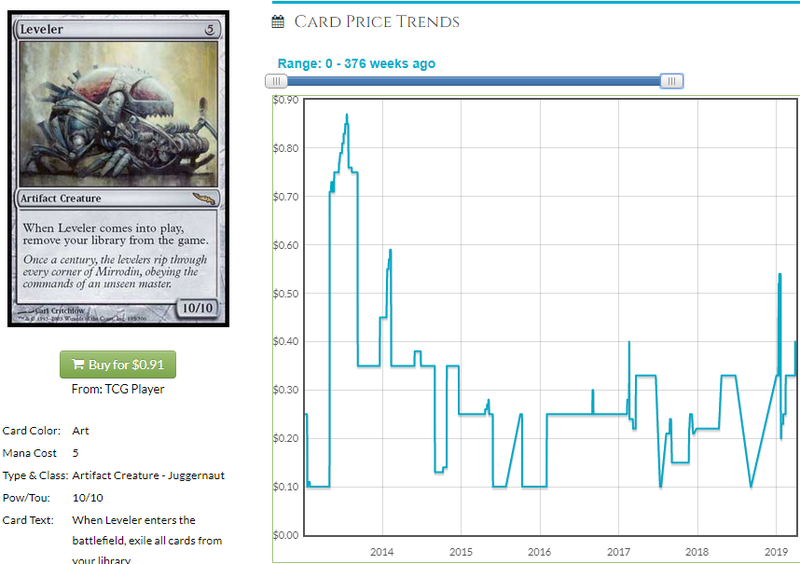 Lashy boy went up before, notably when they printed Laboratory Maniac and also when people thought you could donate it to opponents with Zedruu. I don’t think it’s any better here than it was with Laboratory Maniac, but what do I know? The card’s going up regardless. 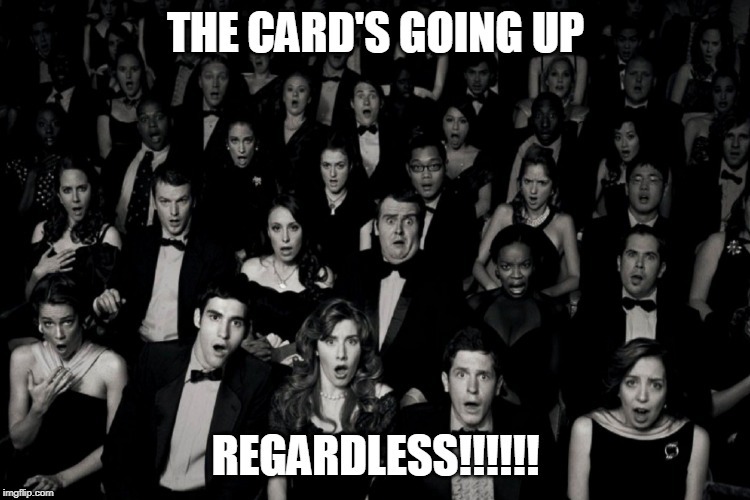 In fact, “the card’s going up regardless” shall be my catchphrase for the rest of this article. Speaking of which, I have another spicy pick for you AND as an added bonus, the voice in my head now has a stereotypical Italian accent. Badda BING. 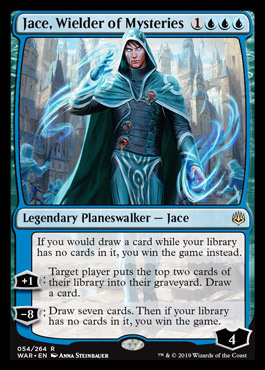 And even though I think that may be the end of the Jace shenanigans I have taken note of, there are other cards poised to make things happen. [-2]: You may choose an artifact card you own from outside the game or in exile, reveal that card and add it to your hand. This is a pretty formidable card. I expect its price to be $1 for every pixel in the picture on Mythic Spoiler. This was going to shake off its Battlebond printing anyway, but the combo with Karn is irresistable. 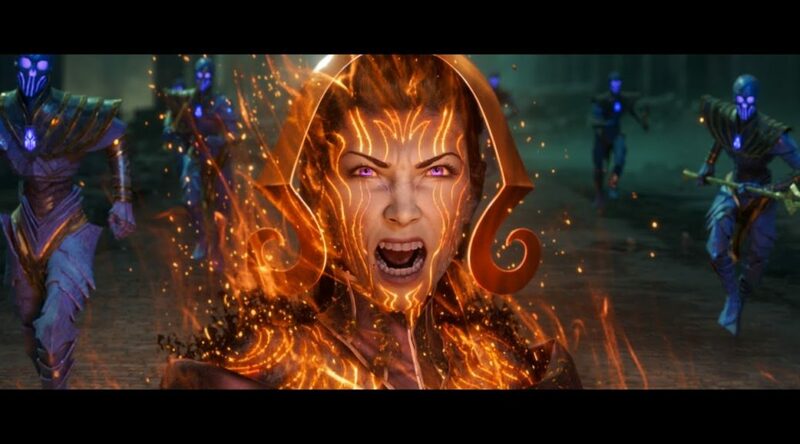 They can’t use activated abilities of… their cards. It’s pretty boss. If you hate your opponents playing Magic, you’ll love this. 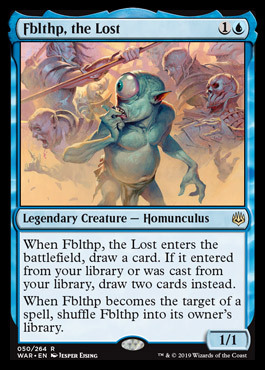 Fblthp is totally lost and while he might appear to be a Blue Norin the Wary, I think he has some utility people latched onto right away that Norin players don’t get to experiment with. Jeleva players immediately latched onto this combo which is strange because I didn’t think anyone playing Jeleva in 2019 wanted to innovate anymore. 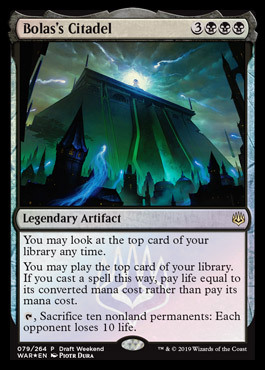 However, just in a deck with Flippleblips as your commander, you can order your entire library and draw two cards provided you don’t have any other creatures. Quelle Combo. 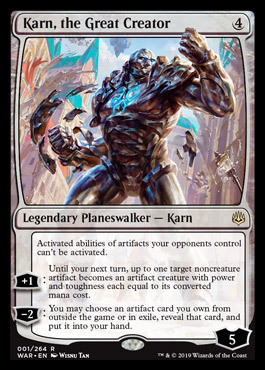 Staff went up on the basis of Narset hype and it’s still a nutso card with a decent foil multiplier and you should put copies of it into your life. Even if you don’t think there are enough Jeleva players to move the needle or lunatics who will build around fibblips, guess what? This is a card, huh? I nicknamed it “Bad Nauseam” but it will probably have an impact on a few formats. 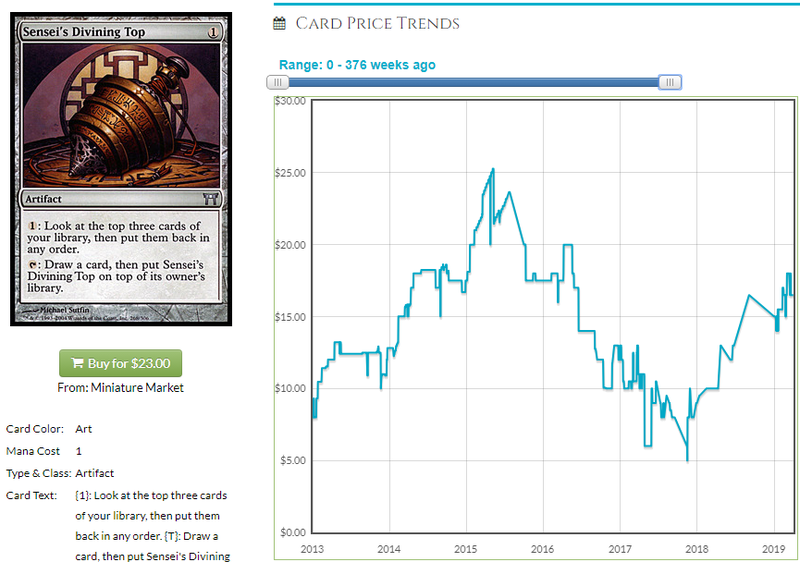 People are talking about cards that gain life and draw cards as a way to go infinite off the top without having to play a bunch of bad, 0-mana cards in a 100 card deck. I think there’s another combo worth looking at. 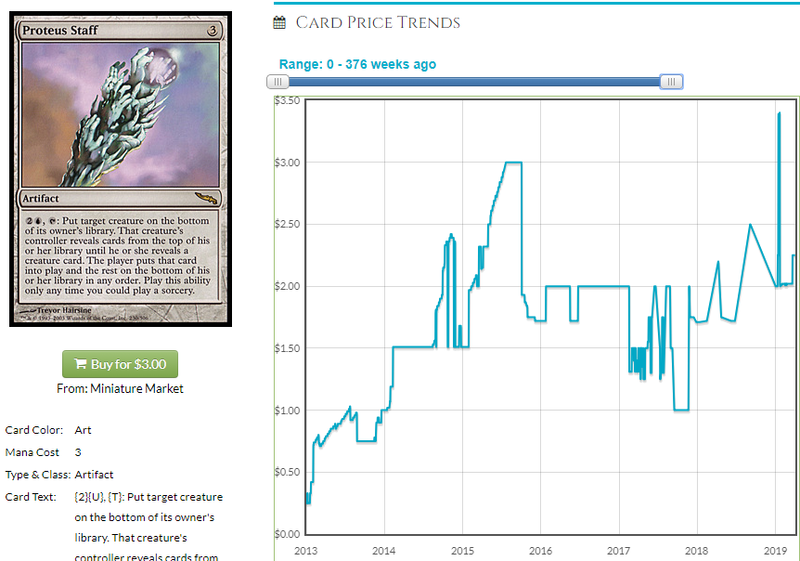 If you weren’t buying $5 Tops when Eternal Masters was at its peak, I feel bad for you, son. I got 99 missed specs but Top ain’t one. Recovering nicely, the only real question was whether it would go up on its own or whether some event would happen to give it a nudge. I guess we have our answer. That does it for me this week! 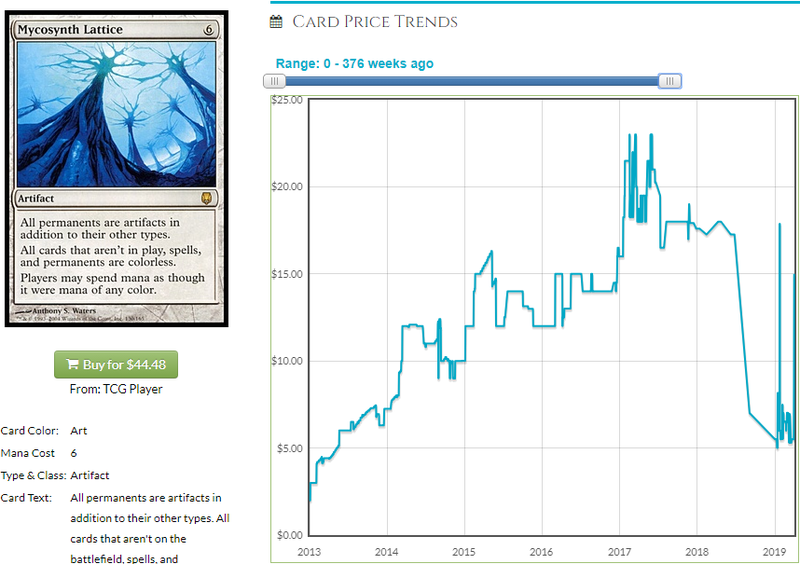 Next week I hope to have a few commanders in the set to write about because if I have to write about Atraxa, I’ll probably need a beer or three to get through the article. Until then, keep your eye on two-card combos and remember to buy double. Until next time!